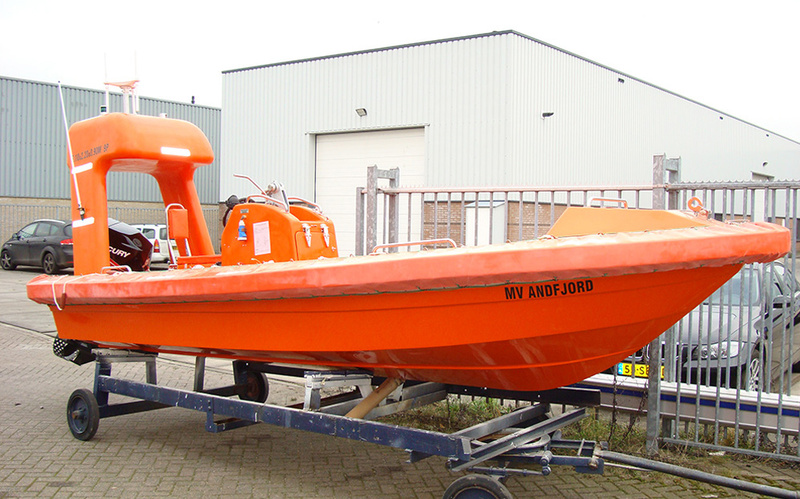 At Euro Offshore we distribute, among others, multiple open Rigid Rescue Boats designed for in-shore operations. All vessels are produced in Holland and comply with the latest SOLAS requirements and LSA code. We produce FRB’s with a capacity from 8 to 16 persons and with top speeds from 22 knots to 30 knots. With the brand name Blue Spirit, Euro Offshore designs and builds custom GRP patrol and rescue boats of the RIB type (rigid hull inflatable boats). Our existing boat lines proved theirselves as the ideal starting platform for a boat built according to your specifications. All EO lifeboats are made of fireproof glass fiber reinforced polyester (GRP) and are injected with foam in certain areas to assure buoyancy and strength. Extra strengthening is built into the bow, to absorb the forces of the water during diving. 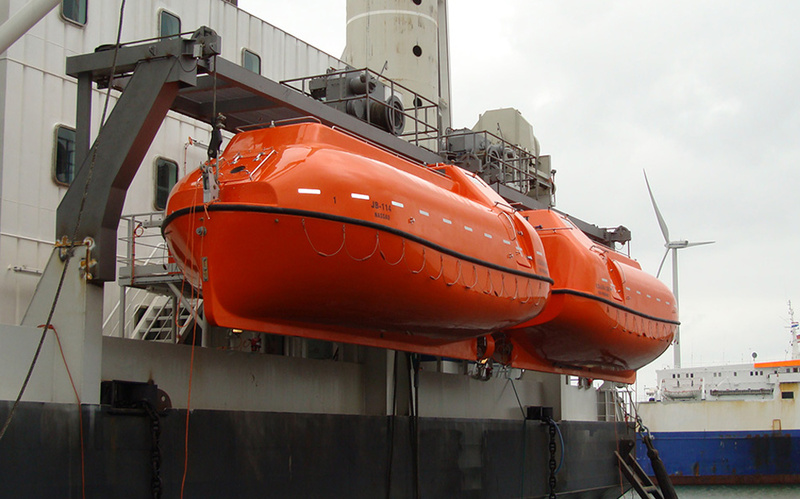 Euro Offshore distributes the following lifeboats: freefall lifeboats, enclosed lifeboats and partly enclosed lifeboats. 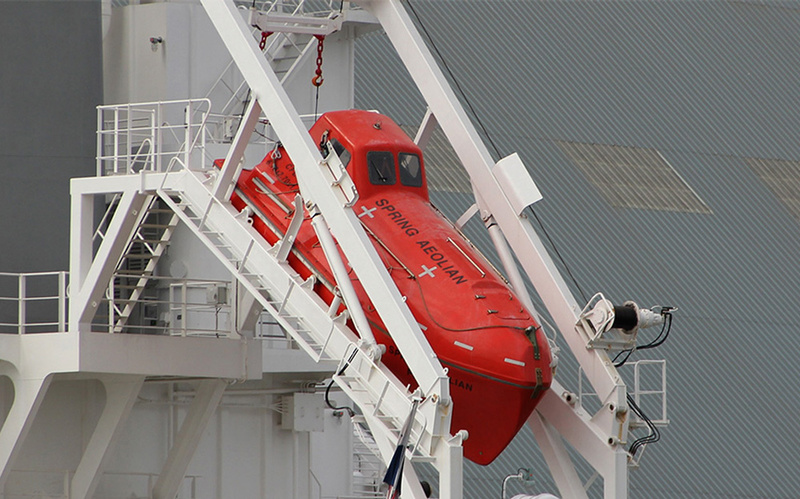 To safely lower a rescue boat from a ship, davits are produced in all shapes and sizes, using different mechanisms. 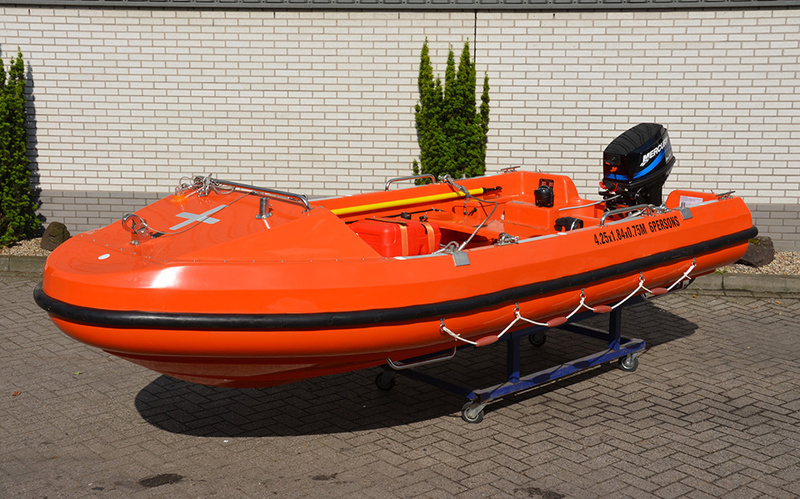 Euro Offshore distributes high quality davits and freefall systems for all life- and rescue boats. All davit systems are designed to withstand extreme conditions in a highly corrosive marine environment and are capable to perform consistently.